2011 Leadville Race Report - Ultrarunning is life. 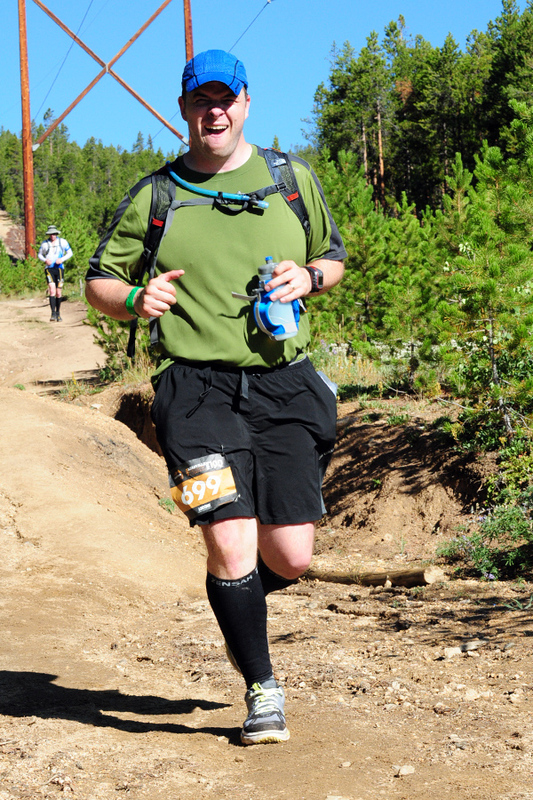 Hello friends and welcome to another edition of my Leadville 100 trail run race report. I don't think it will be as long as last time, but there are no guarantees. For those who like to skip ahead, I missed the Twin Lakes outbound cut off by thirteen minutes and thus completed 40 miles in 10 hours and thirteen minutes. For those who like a few more of the gory details, read on. Honestly, I'm not sure what I'd like to say at this point. The prevailing thought that I have come away with from this last weekend and really the entire year is that training and attempting an ultramarathon like Leadville is a lot like life. I spent about ten months training for an event that, for me, lasted only ten hours. When I was standing at the start line at 4AM on Saturday morning with a couple of friends, I remarked that "this race is going to be over in the blink of an eye." I think due to my propensity for sarcastic humor they thought I was joking about how long thirty hours might feel, but I wasn't. I was really commenting on the fact that all of these months of training, all of the long runs, all of the preparatory races, all of the organization, all of the packing supplies, and planning crew, and asking people to come, all of it was going to be over in one short moment. This was my experience from last time. It seems like it takes so long to come, but then when it does, it's gone before you know it. And depending on how you look at it, that moment can define a lot of things. Going through a DNF (Did Not Finish) can be catastrophic. All that investment, the time, the money, the sweat and tears and what is the result? Failure. And there is at least an entire year to wait to try and achieve redemption. This race and life outlook is one that I have been tempted and probably occasionally succumbed to. However I'm not going to do that today. I could tell you about the splits (2:39 to MayQueen yeah! ), and the puking (it was so loud people thought I was dying), and the race approach (don't stop moving), and the hydration problems (is black goo in your hydration pack a bad thing? ), and the struggle up the hills (where did those hills after Half-Pipe come from? Yowser), and more of the puking (Krakatoa would have been proud) , and the cramping for many, many hours (running with one leg entirely straight looks funny), and the leg locks (you know, besides the break dancing), and the mental battles (do you want my styrofoam peanuts? ), and the heartbreak of just missing the cutoffs (some film crew caught it on tape). But I'm going to tell you about something else today. I'm going to tell you about the sheer joy of being there and enjoying the final step of a long journey. - Standing at the starting line with two other good friends who were running the race, and just soaking up all the energy and excitement. - Running by folks cheering us on in the early morning sections. Our pattern was that my friend would ask them for a cigarette and I would ask for a revolver. - Smokin' it to Tabor Boat ramp in about 1:12. - Seeing the alien swarm of headlights rise up into the night at the first hill. - Hearing the traditional hooting and hollering and pretend animal noises echo across the lake. - Looking up at the stars in the sky. - Getting cheered by other runners for the volume and intensity of your burps. - Holding back on the May Queen section conserving energy but still moving fast. - Coming into May Queen with lots of other people around me within my goal time frame (2:30-2:39) and not being mentally defeated already! - Dancing along the rocky single track which starts the hill up to Sugar Loaf. - Puking so loudly I caused a race official to scramble down from Hagerman road to see if I was still alive (it was funny). - The amazing view towards the top of the hill where I could see Turquoise Lake shrouded in fog and see the town of Leadville in the distance. - Getting to the top of Sugarloaf pass! - Not having my quads die from running down Powerline. - Passing people, and staying ahead of them. - Not having to sprint into Fish Hatchery just to make the cutoff. - Taking my time to browse the buffet of eats at the aid station. - Not having a mental breakdown and shouting match on Half-Moon road this time. - Coming across a random runner laying in the middle of the road doing pushups. - The wondrous feeling of "making good time." - The wondrous feeling of thinking "so you're saying there's a chance." - Not giving up, even with some crazy leg cramps. - Having an awesome unbelievable crew that got me through every aid station faster than anyone else. - Seeing new parts of the trail. - Feeling like I was a little, tiny bit "in shape." - Not having to stop at Half-Pipe aid station. - Unsettling casual hikers with your insane adventures. - Running the last few steps of my race, hand in hand with my best friend, while hearing the cheers of so many good friends, and as the official cut my band, having one of my little children sprint over and give me the biggest hug in the world. Thanks to all those who shared these latest steps in the journey with me, crewing, preparing to pace, coming out to run the silly thing and just having great fellowship. Thanks to the family for checking in on me after the race. Thanks to teh wifey for encouraging me and putting up with me all along the way and being the best crew chief and wife and mother ever. God is good to me. My life nor my race is not defined by individual moments, but by the entirety of the journey. I'm going to try to live each step that I am blessed to take, to the fullest.